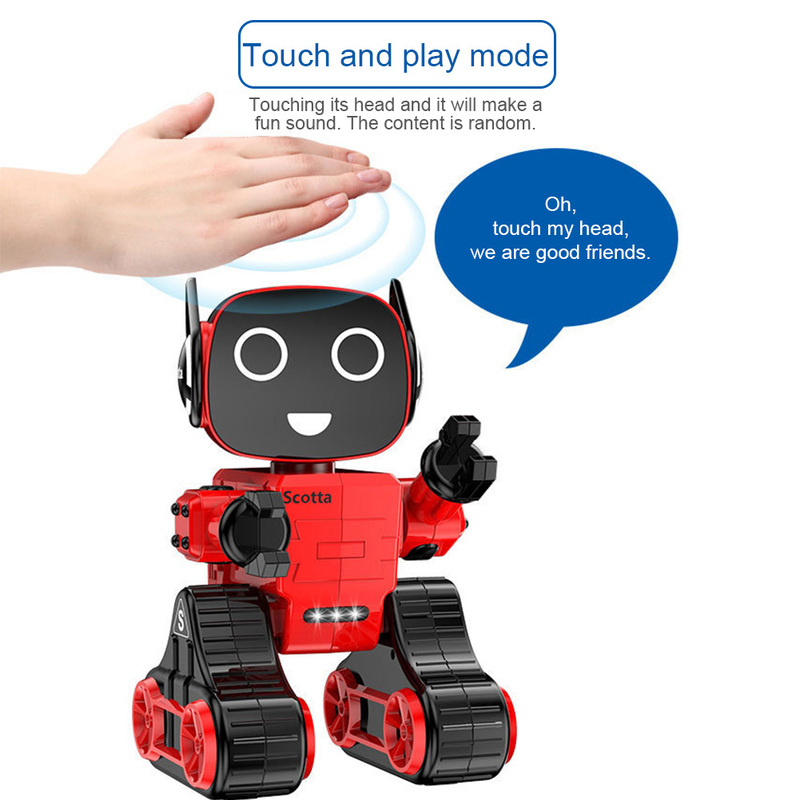 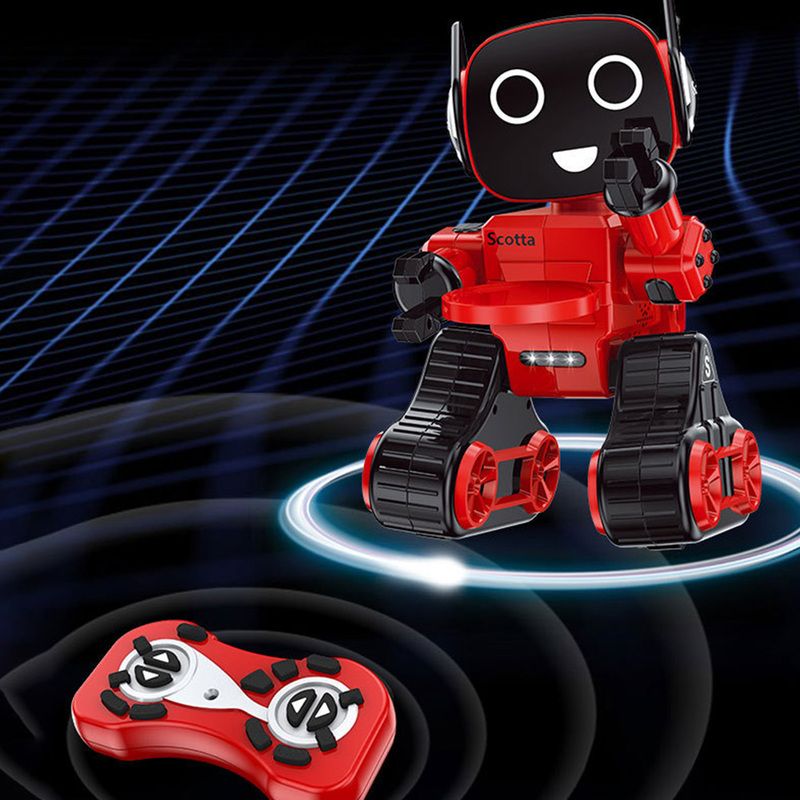 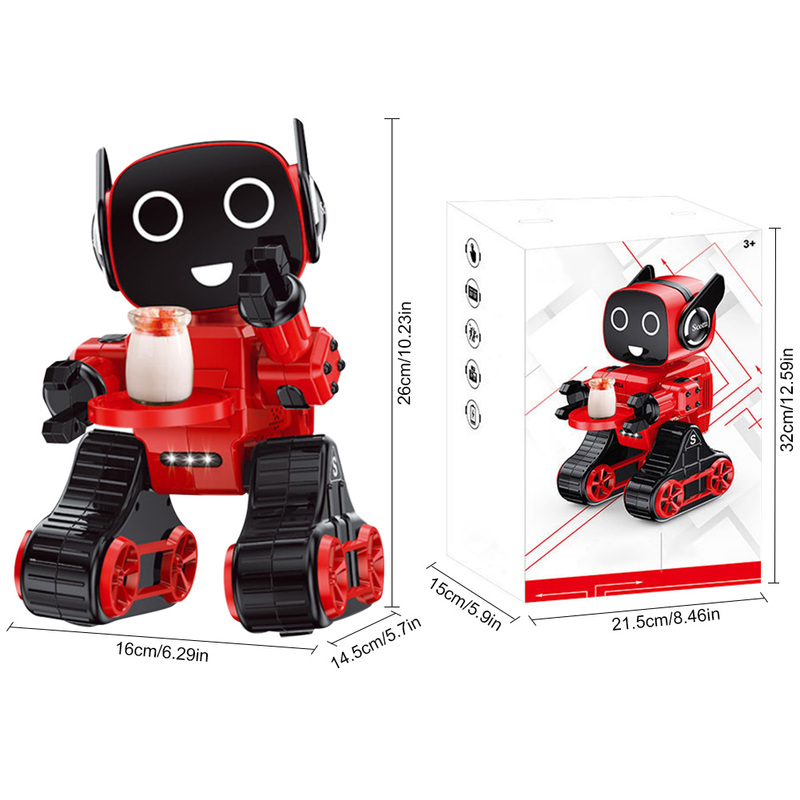 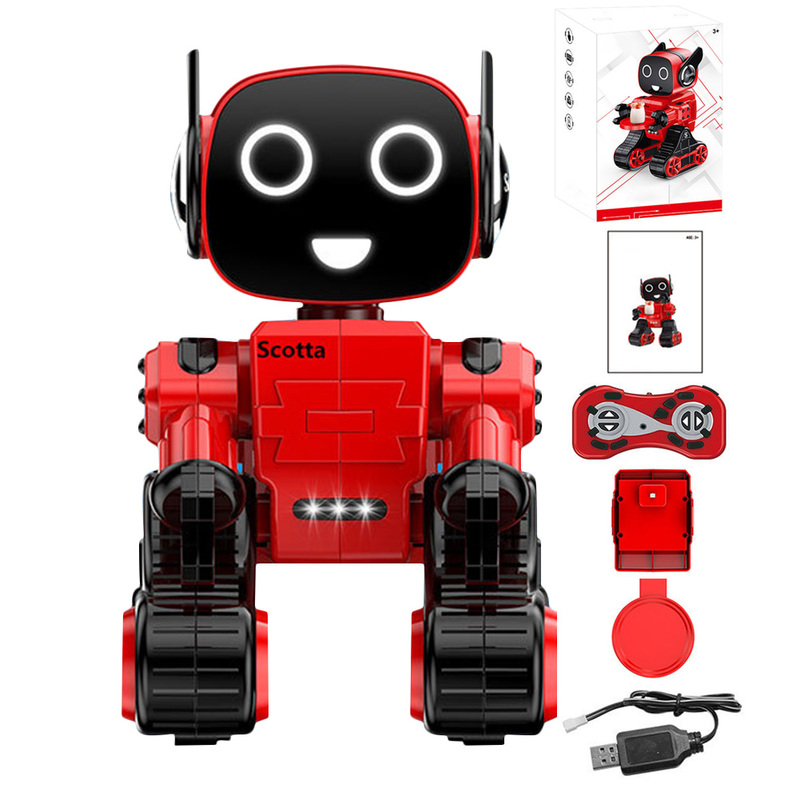 1、Educational toy: Children love this intelligent robot toy that really works! 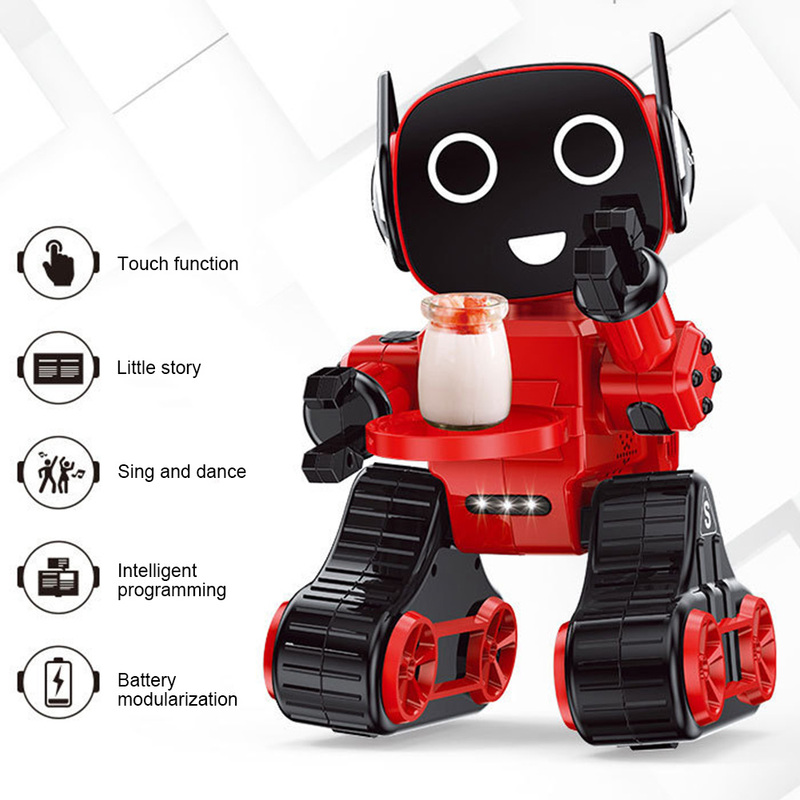 2、Digital, recording and voice changing, children\'s songs, glasses RGB lights, gift presentations, infrared remote control, dance music, intelligent programming, voice-activated interaction, magic sound. 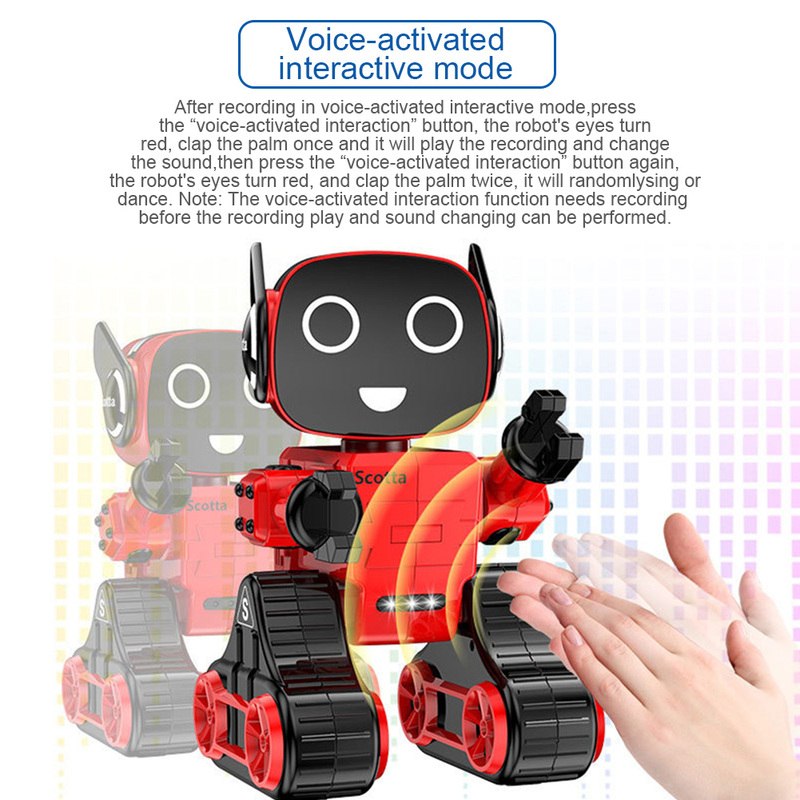 3、After recording in voice-activated interactive mode, press the “voice-activated interaction” button, the robot\'s eyes turn red, clap the palm once and it will play the recording and change the sound, then press the “voice-activated interaction” button again, the robot\'s eyes turn red, and clap the palm twice, it will randomly sing or dance. 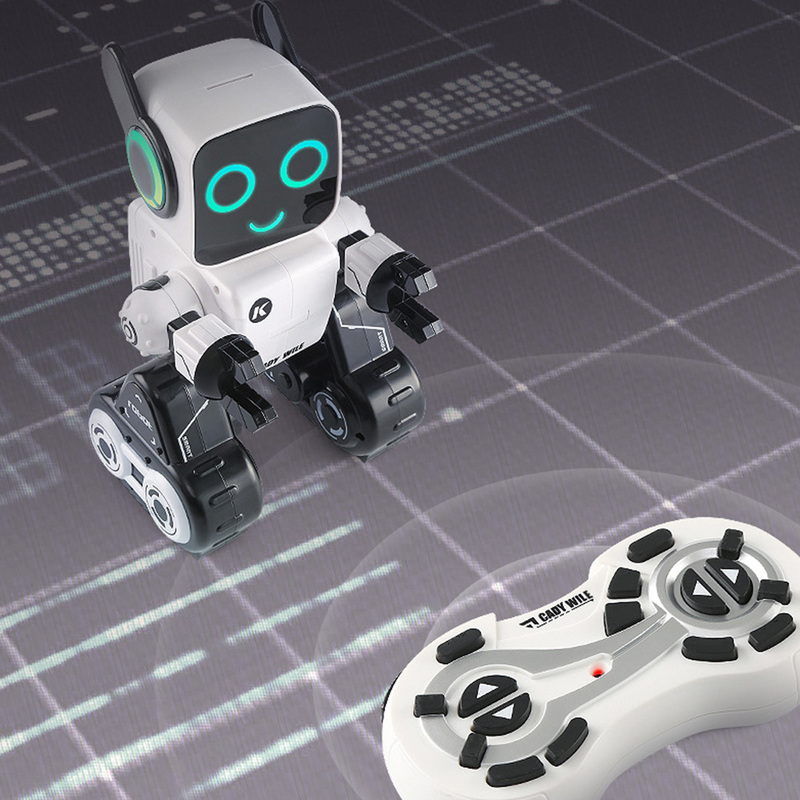 Note: The voice-activated interaction function needs recording before the recording play and sound changing can be performed. 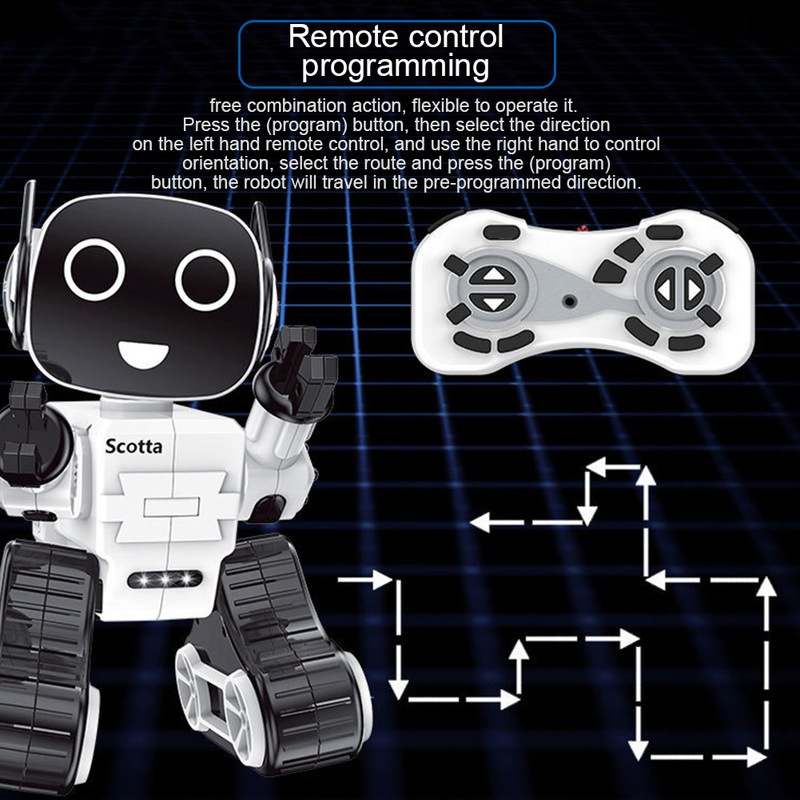 4、Function: Remote Control Analysis, Power Indicators, Children\'s Songs, Ancient Poetry, Recording, Dance, Start/Stop, Ear Light, Switch, English, Ear Switch, Magic Sound, Forward, Backward, Programming, Voice Control Interaction, Right Turn, Math, Volume+, Item Sending Presentation, Left Turn, Story, Remote Control Battery: 2*1.5V Battery. 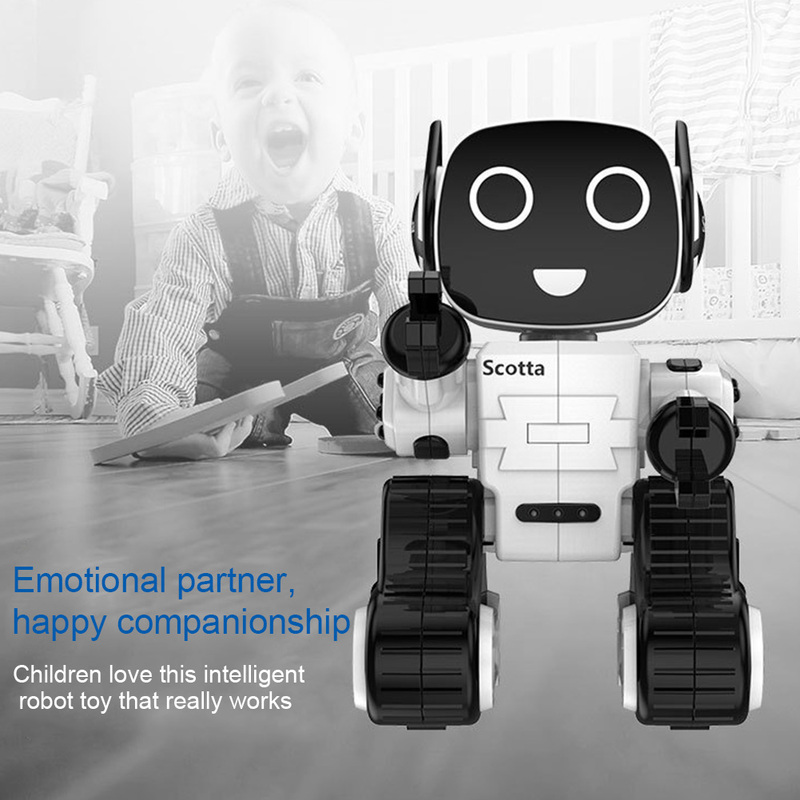 5、Longer operation and play time: Battery modular, Large-capacity battery, standby for up to 2 hours, battery capacity: 3.7V 400mAh, charging time: 55-70 minutes, usage time: 60-80 minutes. 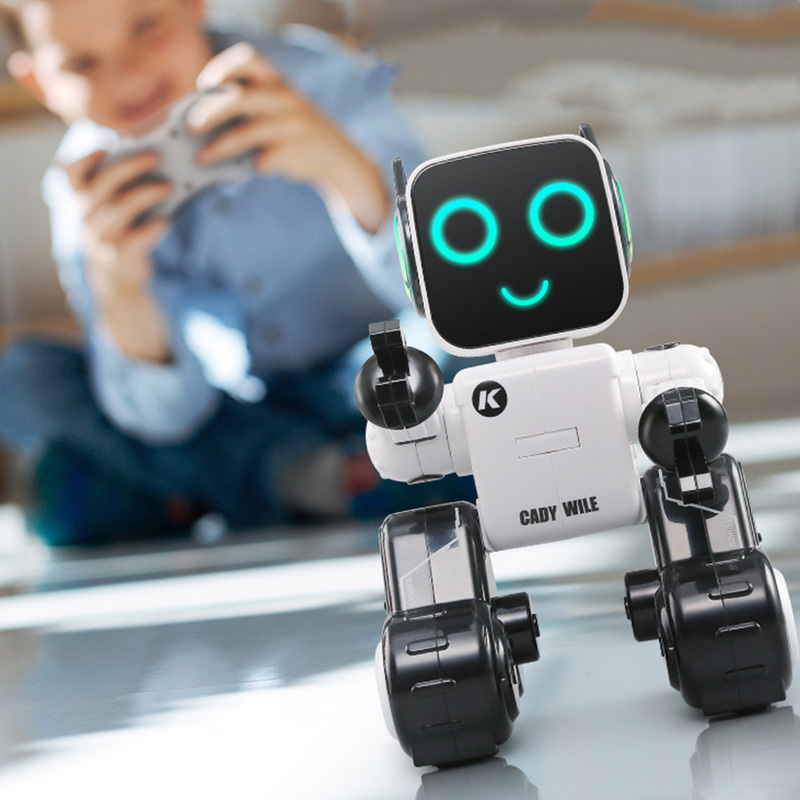 Product features: forward/backward, left turn/right turn, coin bank, story, voice control interaction mode, recording and sound changing, three magic sound changes, item sending presentation, eye RGB lights, ear colorful lights, touch mode, singing and dancing, science mathematics, intelligent programming.